Go bold with this look! 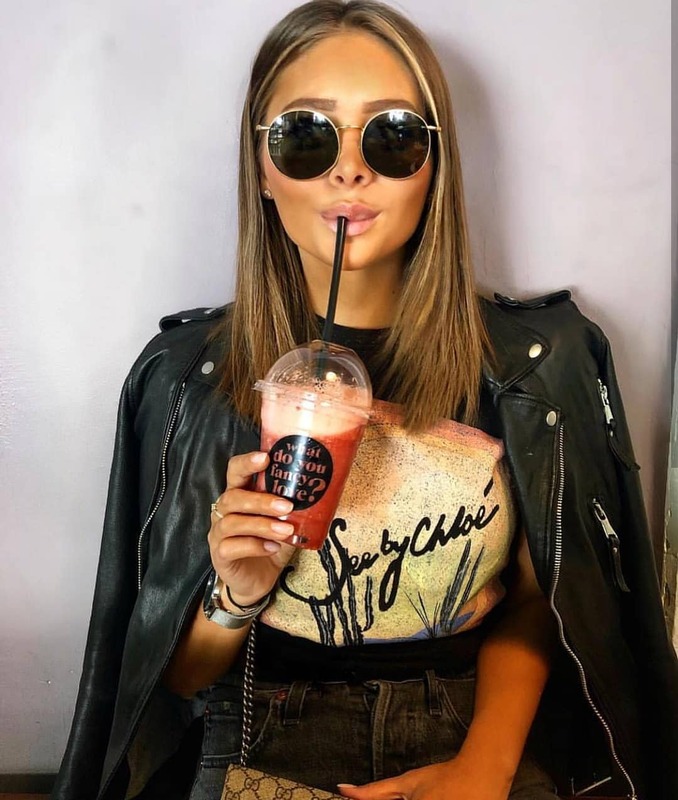 We see a modern grunge outfit consisting of rounded sunglasses, black leather jacket, a graphic print tee, and grey skinny jeans. Love the simplicity of this cool combo. Another great modern grunge style for young ladies. We see a black leather jacket paired with a black crop top and shorts in charcoal denim. The outfit is completed with Clubmaster sunglasses and beige suede ankle boots. Go bold this Summer by wearing a modern grunge outfit. We see a young lady wearing a black tank top paired with charcoal skinny jeans and buckled criss-cross black sandals. Complete this combo by adding a rectangle bag and rounded sunglasses.